Contact - D. ANDREW HUNT, P.A. Submit an inquiry here or feel free to contact us at the provided contact information below. 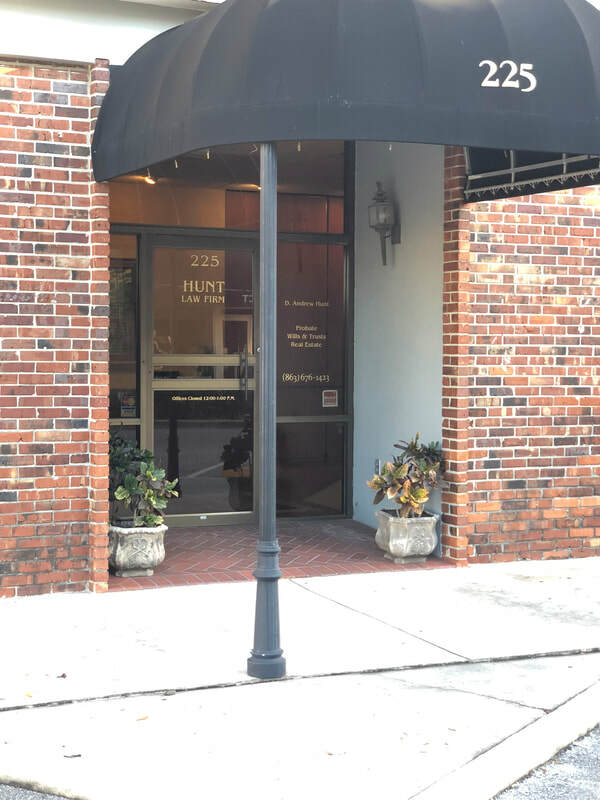 Our Lake Wales office, located at 225 East Park Avenue Lake Wales, FL is in the historic downtown district of Lake Wales. In 1926, the Bradley Johnson Law Firm was established in Lake Wales. In 2018, the firm name was changed to D.Andrew Hunt, P.A. Attorney Andy Hunt is currently the sole proprietor of the firm.